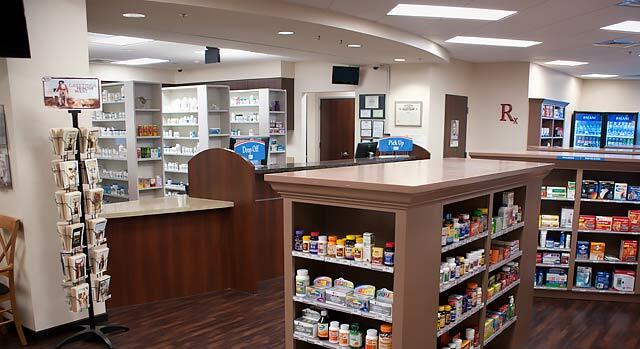 You can get prescriptions filled conveniently and quickly, and pick up other items, such as vitamins, bandages and over-the-counter medications at the CentRx pharmacy located on the Texoma Medical Center campus. The CentRx pharmacy is open Monday through Friday from 8:30 a.m. to 5:30 p.m. to fill prescriptions written by physicians at Texoma Medical Center, or any other healthcare provider in the region. Patients who choose to receive their discharge medications from CentRx pharmacy can also receive one-to-one discharge counseling at bedside. CentRx Pharmacy can also fill patients' existing prescriptions. Enter your prescription number and additional information in the form below and click "Submit." You will receive an immediate confirmation that your refill order was received. If your refill order is not confirmed, or if you have any questions, please call the pharmacy at 903-416-6441. Monday through Friday: 8:30 a.m. - 5:30 p.m.